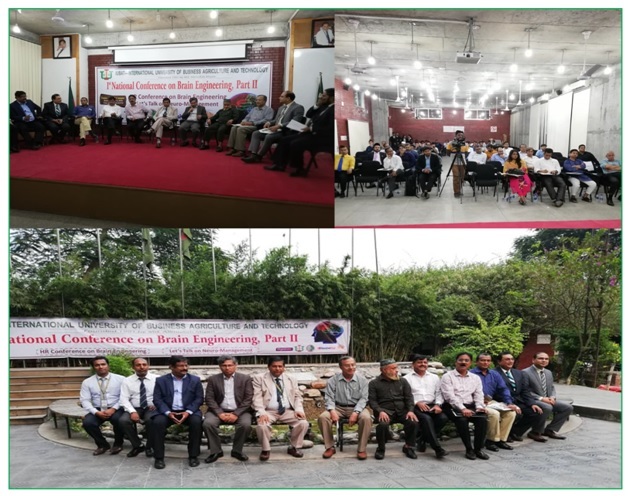 Prof. Dr. Abdul Hannan Chowdhury, Vice Chancellor of Primeasia University has attended as a Panel Speaker at the 1st National Conference on Brain Engineering organized by International University of Business Agriculture and Technology (IUBAT) on Friday October 05, 2018 at IUBAT Conference Hall. The main focus of the session was on the Human resources management with emphasis on Brain Engineering. Panel discussion session was chaired by Prof. Dr. Abdur Rab, Vice Chancellor of IUBAT while Prof. Dr. Matiur Rahman Chowdhury, Vice Chancellor of Presidency University, Prof. Dr. Nazmul Karim Chowdhury, Vice Chancellor of Fareast International University, Md. Saiful Islam, Managing Director (Addl. Secretary) Bangladesh Communication Satellite Company Ltd., Susanta Kumer Saha, addl. Secretary, Ministry of Finance, Md. Mustafizur Rahman, Addl. Secretary, Project Director of A2i Program, Mashequr Rahman Khan, President, Bangladesh Society for Human Resource Management, Lt. Col. Abu Ayub, Chairman, Bangladesh University of Professionals, M. Zulfiquar Hussain, Managing Director, Grow n Excel Ltd. And Kazi Rakibuddin Ahmed, Chief of Human Resources Division, KAFCO were present in the program as the panel Speakers.